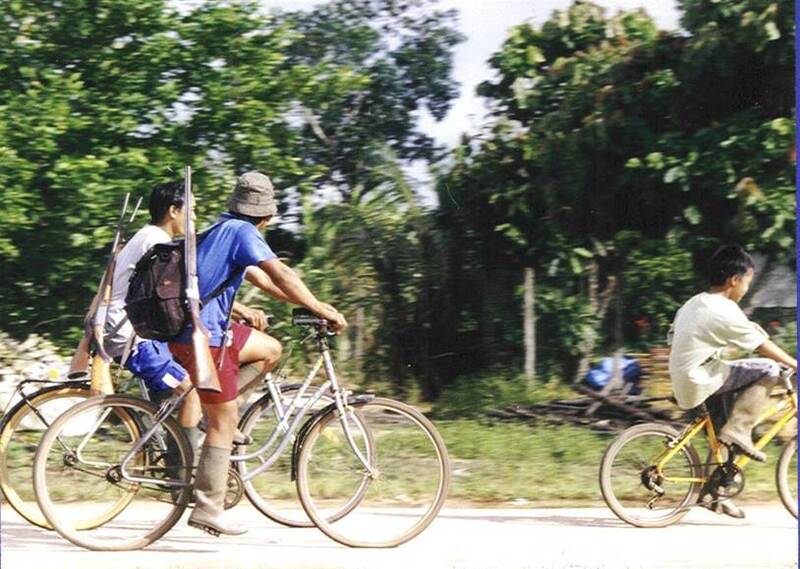 Southeast Asian – Patrick F. Clarkin, Ph.D.
Should Cambodia Pay War Debts to the United States? As the article also pointed out, many people across the political spectrum are outraged by the request, given the role the U.S. played in bombing Cambodia. According to Yale historian Ben Kiernan, from 1965-73 U.S. planes dropped nearly 2.8 million tons of bombs over the eastern part of the country. This was part of a larger war meant to deny communist troops and supplies from North Vietnam from reaching the South via Laos and Cambodia. Although casualty estimates from war are notoriously difficult, U.S. bombing was estimated to have killed 50,000 to perhaps hundreds of thousands of Cambodians, many of them civilians. Furthermore, historians such as Kiernan have argued that without the bombing, the Khmer Rouge might not have grown as much as it did, with people radicalized against U.S. brutality and into the arms of the K.R. Their rise to power, of course, led to more atrocities and genocide only a few years later. 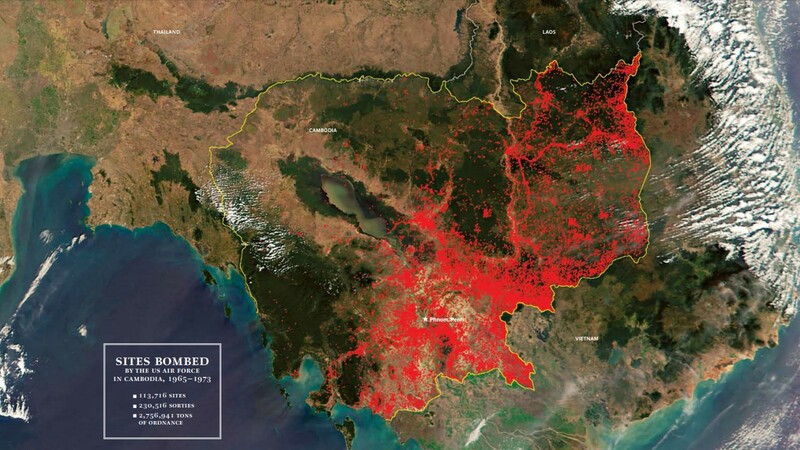 U.S. bombing of Cambodia from 1965-1973 (by Taylor Owen and Ben Kiernan). Source. Generally speaking, U.S. attitudes toward the idea of accepting refugees have not been very generous over time. This film — Chau, Beyond the Lines — has been nominated for an Academy award in the category of short documentary. I’m not particularly interested in such awards, but in this case I’m grateful to learn of this film and that it raises awareness of how the effects of the Vietnam War continue to linger. (1) Examples of profound case studies in reconciliation and making peace with the past (Kim Phuc and John Plummer; the My Lai massacre, Pham Thanh Cong, and William Calley; various national-level apologies for past injustices). (2) The significance, evolution, and neurobiology of guilt and forgiveness. (3) Lingering injustices and problems caused by the war, as well as a few reasons for optimism.